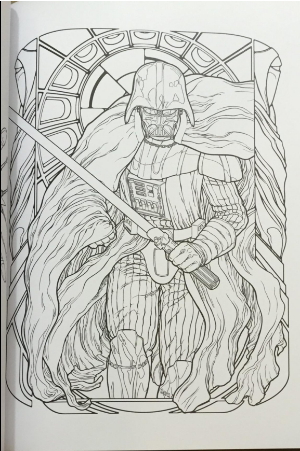 Star Wars fans can now indulge in the wonderful pastime of coloring, too! This coloring book is beautifully produced in a large format (8.2 x 11.8 inches) with board covers and foil stamping. 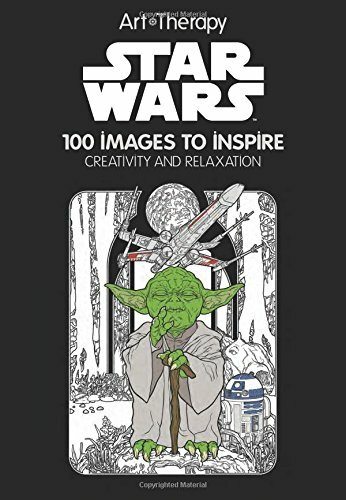 It is packed with 100 engaging images from the Star Wars series (episodes 1 - 6). You'll find your favorite characters plus extra-terrestrial landscapes and intriguing patterns. The designs include Star Wars themed abstracts and mandalas and a variety of characters surrounded by... flowers! Even Darth Vader gets a garland of flowers. Go figure. 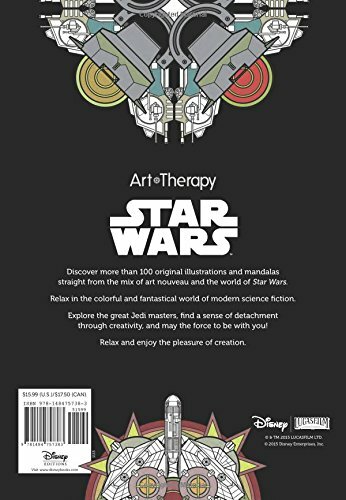 I was surprised to see two female artists producing a Star Wars book; perhaps the flowers are their feminine contribution to the genre. There also seems to be equal attention to the female, as well as male, characters. The detail level in the drawings is moderate - not too simple, not too intricate. It will be a nice level for intricacy for many people, accessible to older kids as well as adults. Paper quality is very good. Although designs are printed on both sides, you'll be able to use pencils, gel pens and some types of markers without bleed through to the back side of the sheets. Long live the empire! 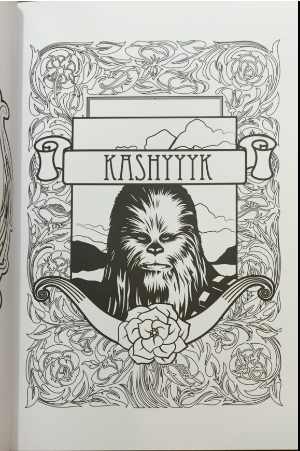 Thanks for sharing this post about star wars coloring. Never thought I’d be interested in coloring books at my age, but now I have a topic I’m actually interested in! Love me some star wars! 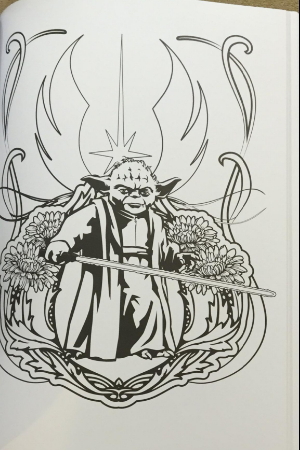 I was wondering if there would be coloring books for star wars fans. Seems like they are mostly aimed at nature and animals and such. Thanks for posting!